Our range of Cannabis Seeds includes highest quality genetics from over 80 breeders worldwide. Our comprehensive strain library allows you to view our highest yielding strains, indoor and outdoor strains and will help you choose between indica or sativa marijuana seeds. These popular strains are developed to flower as female plants only and because of this, you can expect feminized cannabis seeds to be 99.99% female. Browse through our collection of feminized seeds here. In a hurry? These popular strains are bred so they flower based on time instead of light exposure. Check out our phenomenal range of autoflowering seeds now. These strains are not altered or genetically modified and are offered by many marijuana seed breeders. Check out our classic range of regular seeds now. Our most popular and best reviewed cannabis seeds are now available in Collections. And right now, all of these unique Collections have a 20% discount. Find cannabis seeds based on key characteristics such as High THC or High CBD. Looking for something a little stronger? Discover which strains in our extensive library are high in THC. Find out which strains in our library have significant medical properties and have a high CBD content. We pride ourselves on customer service and always appreciate feedback from our loyal customers, take a look at our latest reviews here and leave your own too. 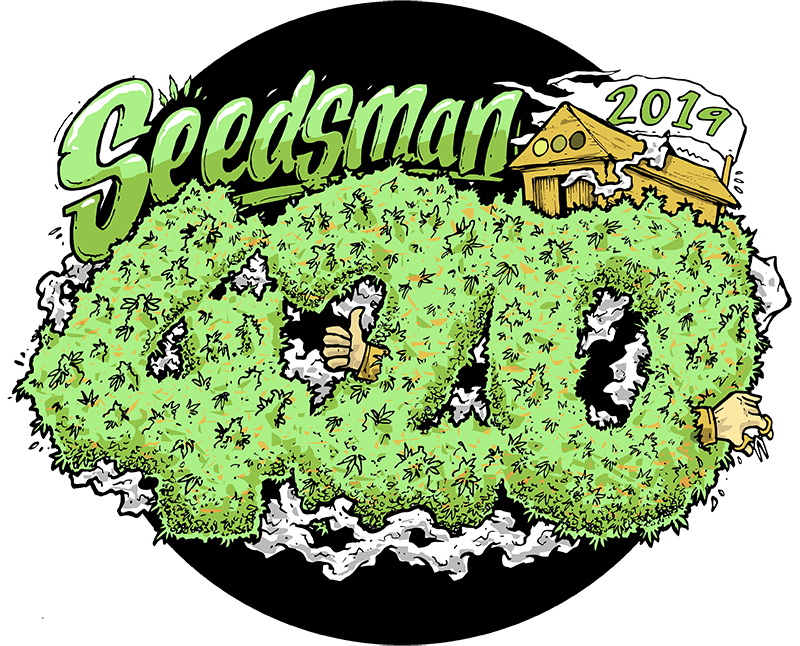 From grinders and papers, to caps, bags and mugs, we have a comprehensive range of stylish Seedsman merchandise available for you to buy. We have some amazing promotions available to our customers every day. We guarantee at least one free seed with every order! We have been selling cannabis seeds online since 2003 and are considered one of the most trustworthy and reliable online seedbanks in the world. Our company has evolved significantly over the past decade. We sell our own brand of cannabis seeds - Seedsman, but also stock 1500 strains from over 65 seedbanks from every corner of the globe. We pride ourselves on our customer service and you should expect to receive a reply to any email you send us in less than 24 hours (except over the weekend and in exceptional circumstances). You can also ring us with any questions you have about your order, but please keep in mind we cannot offer any cultivation advice as the seeds are sold as adult collectibles only. Cannabis Seeds are sold in countries where it is illegal to grow them for genetic preservation purposes. If you would like to find out more please visit our About Us page and check our Legal Disclaimer. Our seeds are sent out worldwide using discreet & express delivery services. For further details please visit our Shipping Information page. A percentage of our company’s profit is spent on helping promote the need for legal change within the UK and around the globe. This is done by attending cannabis trade shows and conferences, supporting political lobbying organisations and charities. More importantly we try to encourage visitors of our websites to do the same by keeping them up-to-date with what is happening in regards to cannabis laws and provide a growing amount of articles and information on all aspects of cannabis to help feed their interest and get them more involved in the lobbying process. You can find a number of these articles on our Seedsman Blog. We value our customers and their loyalty, and we like to reward them with regular promotions and discounts throughout the year. Our current deals can be found on our Promotions page. You can also sign up to our monthly newsletter which will keep you updated with all of our fantastic offers.